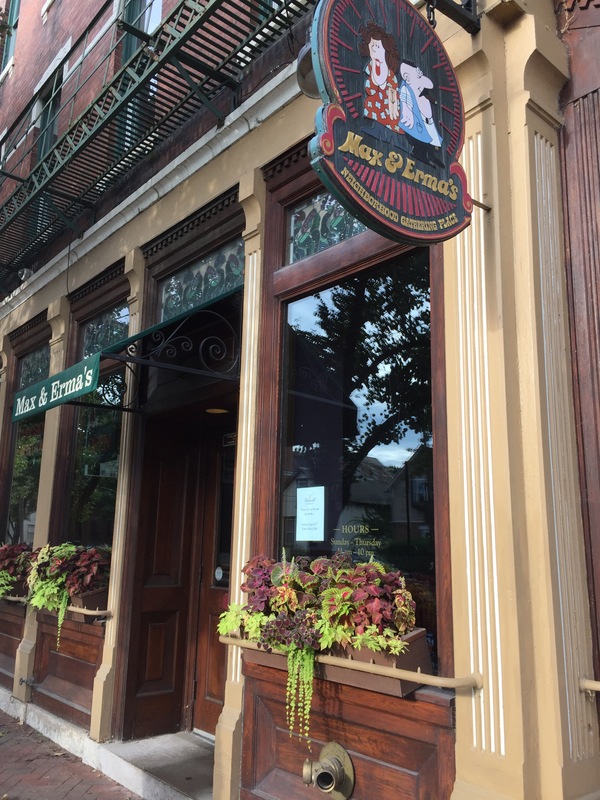 The original Max & Erma’s restaurant, a German Village landmark for 45 years, has closed. It wasn’t killed by lack of traffic or any of the other issues that often put restaurants out of business — it was the building in which Max & Erma’s is located that apparently was the real culprit. The company that owns the restaurant announced that the building “can no longer maintain the standards our guests deserve,” with one of the principal problems being the lack of an ADA-accessible bathroom. The company says it had “thoroughly explored available options, but both costs and covenants have proven to be to prohibitive.” This isn’t surprising for anyone who’s been to that quirky brick building — a building which lent some of the quirkiness to the Max & Erma’s ambiance generally. It was filled with little nooks and crannies and abrupt turns, and if you had to use the facilities, you had to navigate a narrow flight of steep stairs that took you into the basement. The original structures in German Village just weren’t built for wheelchairs, walkers, and other devices that are commonplace in modern America. The closure of the restaurant leaves a kind of weird void on Third Street, because most of the people who live in, or visit, German Village expect to find a bustling Max & Erma’s, where they can get a cheeseburger and a beer and check out the quirky wall decorations. Forty-five years is a really long time by German Village standards, taking the original M&E’s back to the early days when the rehabbing wave was first washing over the neighborhood. Two of our friends had their first date at the original M&E’s back in the ’70s and liked to have a meal there when they came to Columbus for a visit. Now they won’t be able to do so. We’ll miss the original Max & Erma’s, but German Village being what it is, the inevitable question now is: what’s going to go into that building now? With the closing of M&E’s and Caterina, a few blocks closer to downtown, we’ve got vacancies in two prime spots on Third Street. If the ADA issues can be resolved, we can always use another pub, restaurant, or shop.